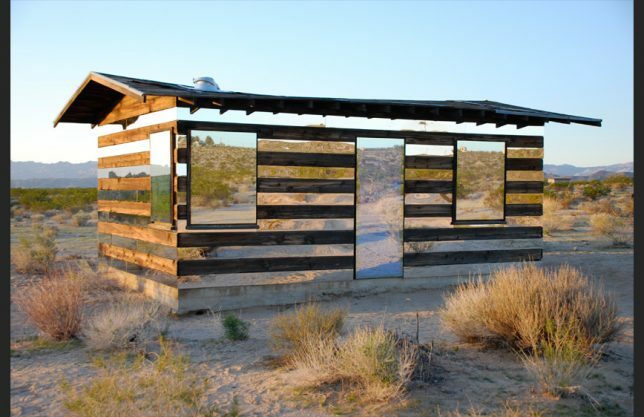 Pinched, warped, rippled, steeply angled and mirrored until they disappear into the sky, these buildings are not quite what they seem at first glance. Sometimes, it takes a nice long look at their outlines and proportions to determine where their facades actually begin and end, and how they can possibly be balanced so precariously. 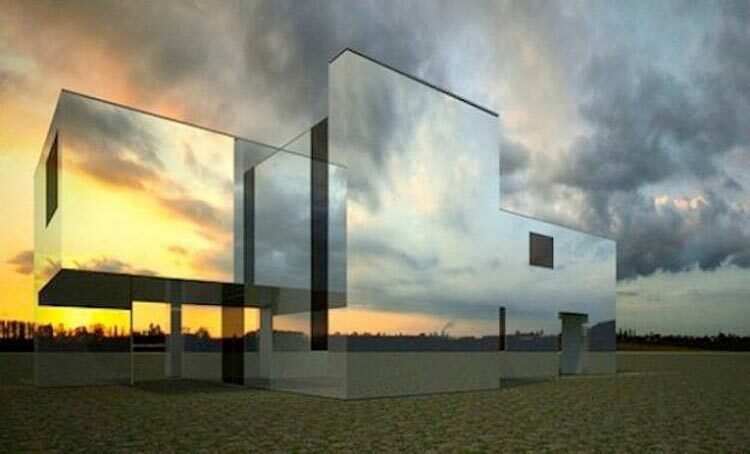 In the space once occupied by the historic Rachel Raymond House in Belmont, Massachusetts, a beautiful mirrored illusion rose: ‘Mirror House’ by Pedro Joel Costa Architecture and design, which pays tribute to the original home’s modernism while looking to the future. 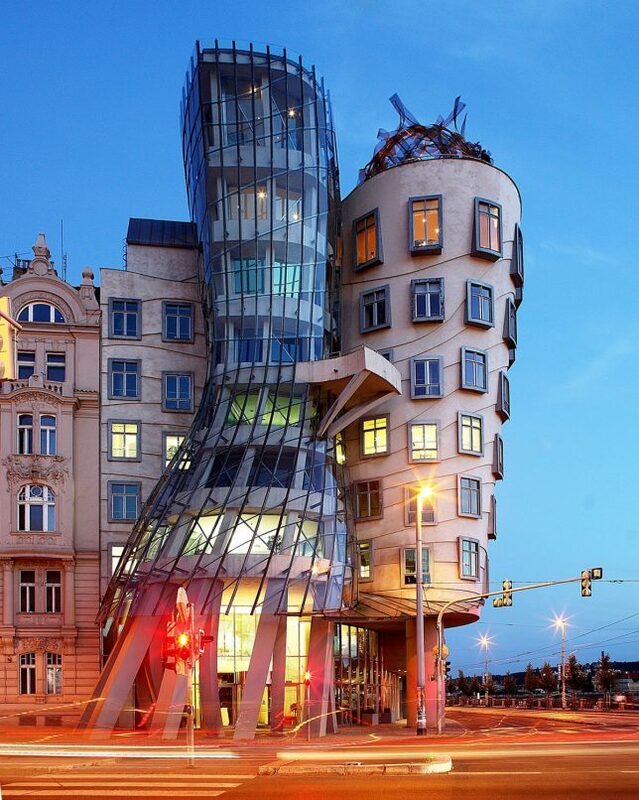 Prague’s ‘Dancing House,’ also known as ‘Fred and Ginger,’ is actually the Nationale-Nederlanden building by architect Vlado Milunic, built in cooperation with Frank Gehry in 1996. 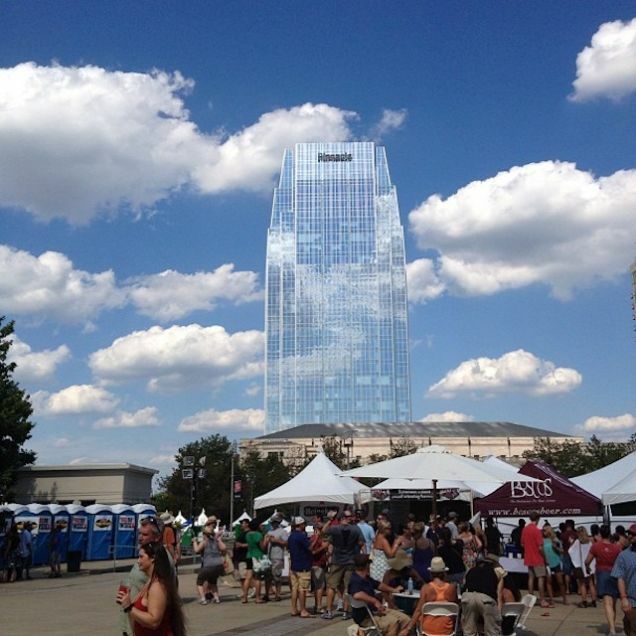 One of the dual towers of the building appears to be warped and distorted, as if someone squished it up against the other. 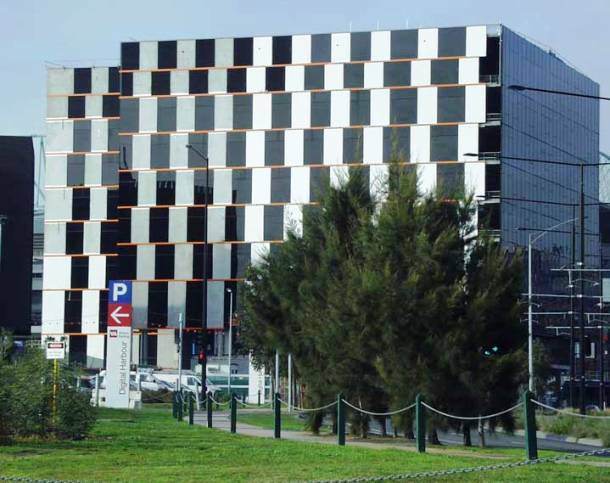 From most angles, it’s virtually impossible to tell what’s going on with the facade of the Australian Customs Service Building in Melbourne, clad as it is in an unusual graphic black and white pattern. 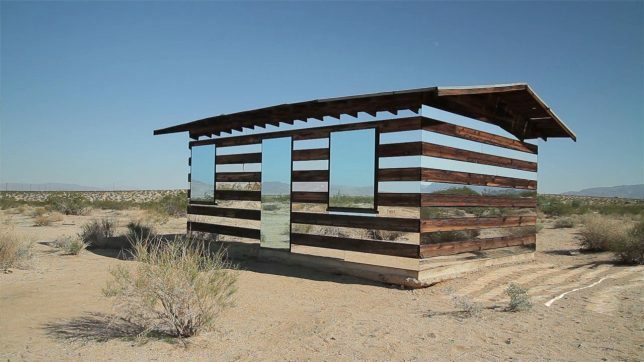 The theme is reportedly repeated inside. 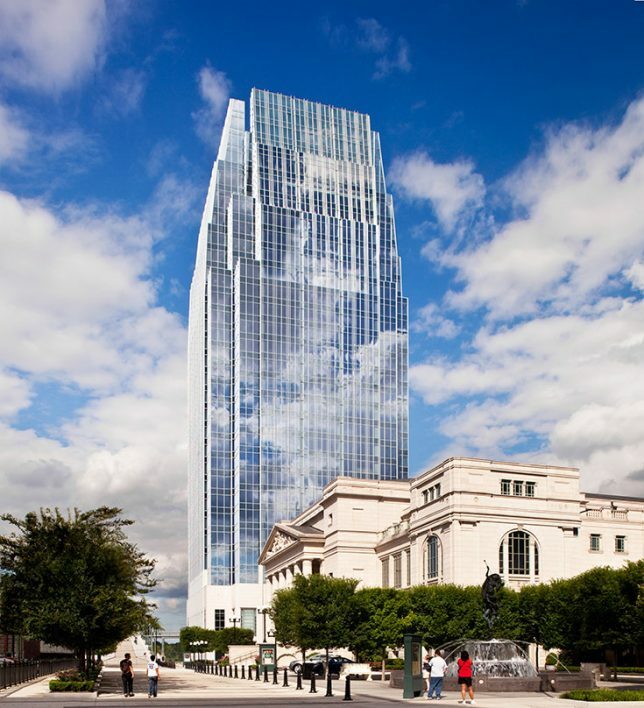 The tall and thin mirrored Pinnacle at Symphony Place almost manages to disappear into the sky altogether when conditions are just right, becoming like a ghostly suggestion of a building instead of something decidedly solid and real. 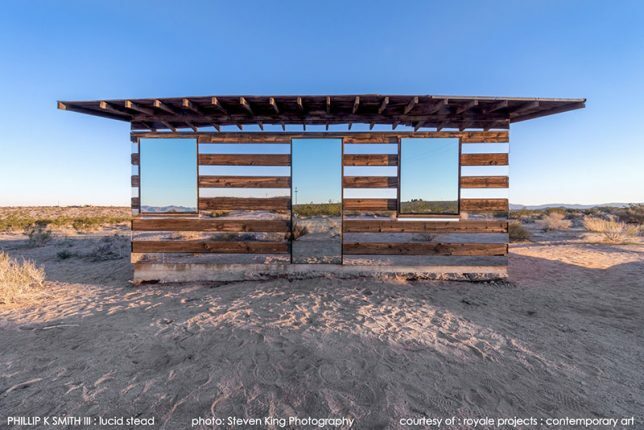 Alternating its logs with long stretches of mirror, artist Phillip K. Smith III makes his Joshua Tree installation ‘Lucid Stead’ blend with its environment so effectively it seems to be little more than a few dark brown lines floating in the desert.